Established in 1854, The Granite YMCA is part of the worldwide non-profit Y organization. With branches in Manchester, Goffstown, Londonderry, Portsmouth, and Rochester and New Hampshire’s leading camping programs, we focus on youth development, healthy living, family strengthening, and social responsibility. 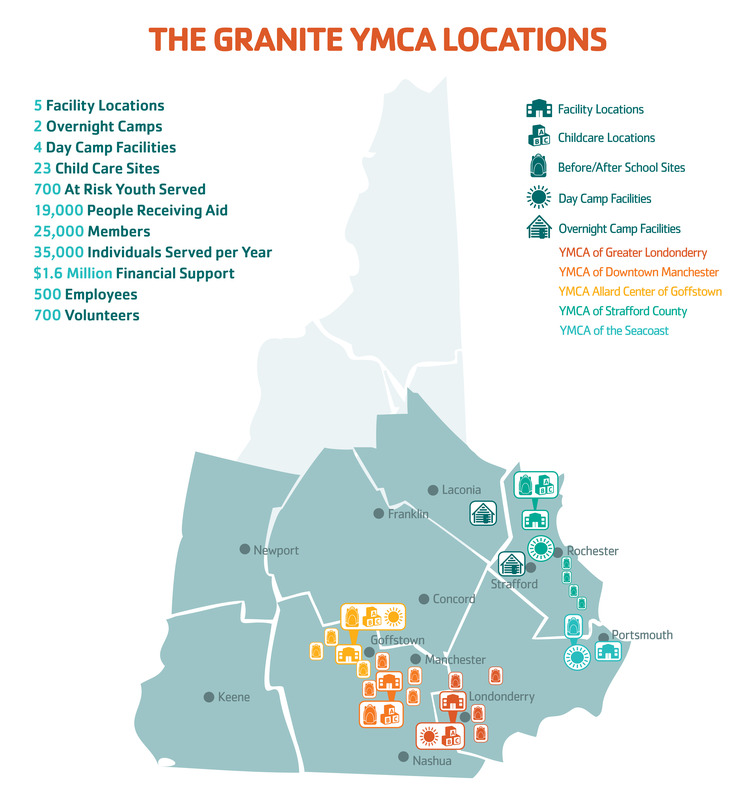 The Granite YMCA is part of the state’s safety net in support of those less fortunate. In 2017, we were proud to provide financial aid and/or free services valued at $1.63 million dollars to more than 20,190 residents across NH. This outreach included: sliding scale fee structure for programs and services, free use of facilities to a broad range of non-profits, camp scholarships and reduced fee or free child care services.